The science is clear – a happy workplace leads to job satisfaction and improved employee retention. 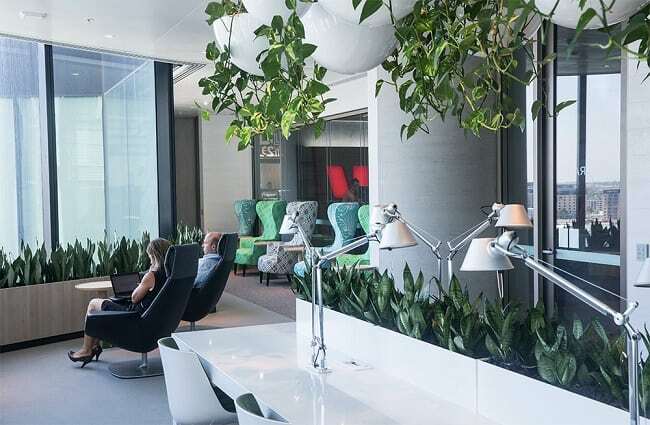 As the popularity of flexible working arrangements increases, Australian employers with offices must create a better working atmosphere than home or the local cafe; a welcoming environment that boosts employees’ moods, gets them working, and allows them to socialise when required. And these 18 have done just that. Ready to do things differently? 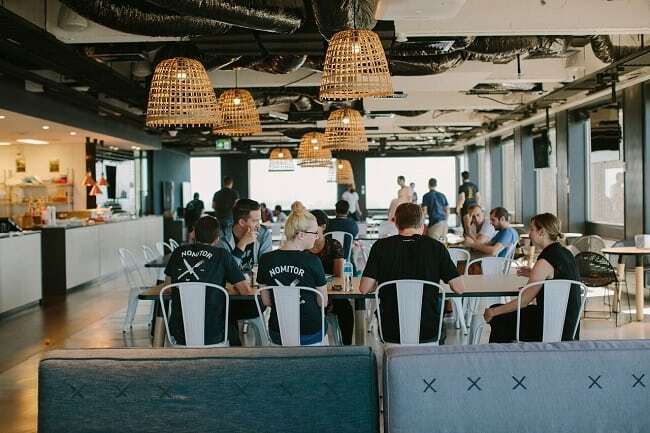 Airtasker is not only a cool work platform for busy – or indeed lazy – Australians, but a sought-after employer with a trendy office space designed to inspire productivity. 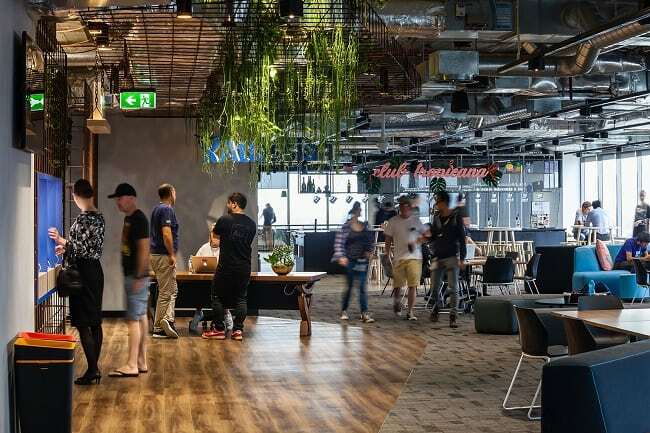 The open space “enables [Airtasker] to think, play and collaborate, but also be functional and agile enough to support their empire and afford the flexibility for future growth,” says Tamara Sheeran, Practice Director at Siren Design, the firm who crafted the space. Staff can enjoy a variety of differently designed areas including booths, the main boardroom, a kitchen, a break area, and meeting rooms kitted out with stools, bean bags and lounges. 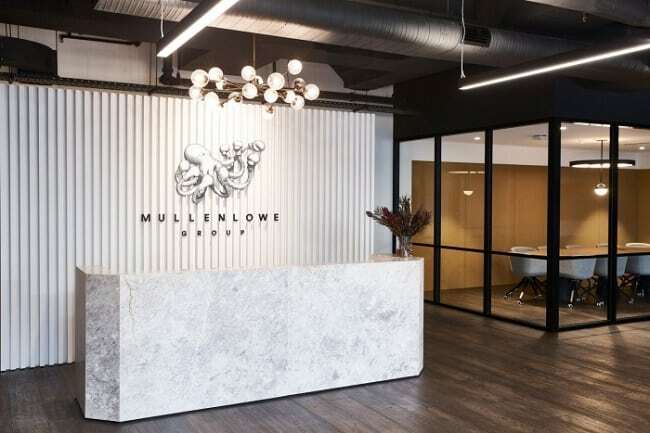 In 2017 MullenLowe Profero moved into a new workplace in a late-1930s building on Cleveland Street in Surry Hills, Sydney. The office aligns perfectly with the agency’s polished glean and flat organisational structure, without compromising on the cool factor we have all come to expect from the ad industry (thanks, Mad Men). According to Office Snapshots, “the building has undergone a process of adaptive reuse with its original timber-panelled windows, exposed brick and cast-iron columns retained throughout.” Design firm Tom Mark Henry custom-designed elements throughout the workplace to create a space that accommodates growth and a flexible working style, with standing desks, conference rooms, meeting nooks and lounge areas. Since its conception, Canva has been making headlines for all the right reasons. 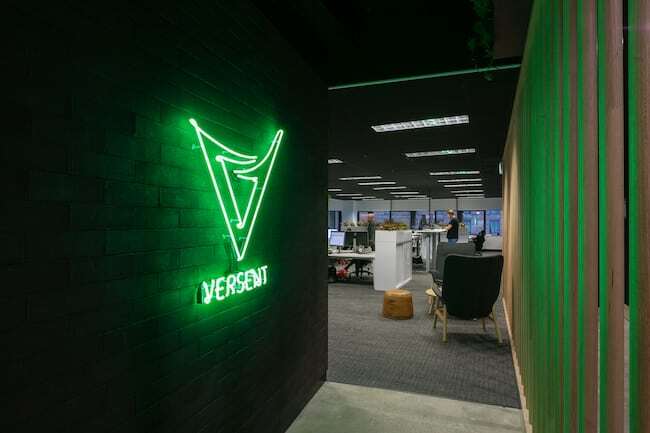 They’ve joined the tech unicorn club, they’ve been awarded the best place to work in Australia in 2017, and that’s without mentioning the simple fact that their tech is freaking cool and makes life easier for everyone. Beyond all the accolades, they also have an amazing office layout and company perks; so impressive, in fact, that even major overseas publications are raving about how rad it is. The Canva office space is big, open, collaborative, and inhabited by dogs almost as much as it is by humans. They have a sweet bar on site, but the cream on top has to be their in-house chef, who prepares both breakfast and lunch for all staff. Qualtrics Australia has gone from a humble team of three when they expanded into Australia in November 2014 to over 110 Sydney-based employees today. 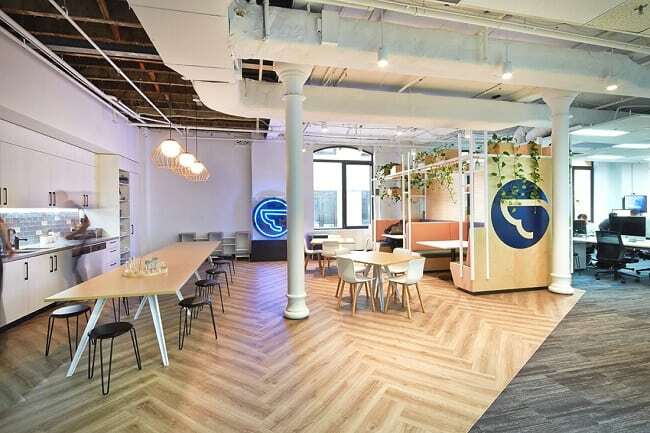 Anticipating their exponential growth, the Qualtrics Aussie HQ planted roots in a fancy Sydney office space big enough to take them through the expansion. Not only does their office boast plenty of space for newcomers, longer serving staff are spoilt with an epic view of the city which can be soaked up from comfy lounges in the breakroom. Feel like a game of mini golf? Good news – they’ve got a putting green! Is fitness more your jam? Then jump on a treadmill that’s fully equipped with a standing desk! Sydney founded Campaign Monitor certainly appears to have all bases covered when it comes to office space coolness. Like every good modern tech office, ping pong is the sport of choice. They’ve one-upped the average tech office by installing not just one, but two tables, ensuring no staff member go without a hold of the paddle. The break room has comfy couches and a variety of video games, and the company also boasts its very own in-house chef! It’s not all fun and gorging, though; the Campaign Monitor office is also replete with productive spaces and super welcoming meeting rooms. Atlassian is perhaps Australian tech’s greatest success story. Launched in Sydney in 2002, today the company is worth multiple billions of dollars and employs over 2000 people across the globe. Over the journey they’ve made a habit of topping great places to work lists, thanks in no small part to their amazing offices. 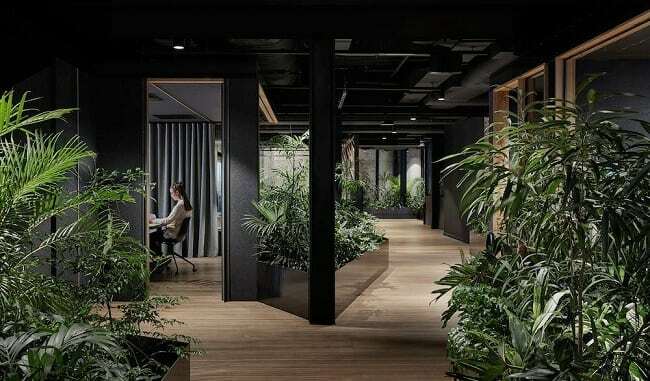 Business Insider took a peek at their Sydney space last year, which featured booths, hot desks, meeting pods, and single pods for staff who need to drown out their colleagues. For chill time they have a fully-stocked kitchen offering free breakfast and lunch, and a bar with four different beers on tap. As a global tech giant, we expect Dropbox to pull out the big guns when it comes to office swagger. Gladly, they haven’t disappointed with their Sydney office. Deeps De Silva, Head of Marketing in APAC & Japan, told news.com.au “the concept is bringing home into the workplace.” Mission accomplished. The space is open plan for optimal collaboration, and is beautifully illuminated with natural light. They have a very unique indoor patio, as well as a private dining room complete with a stocked bar. The staple ping pong table is of course present, as is free yoga. 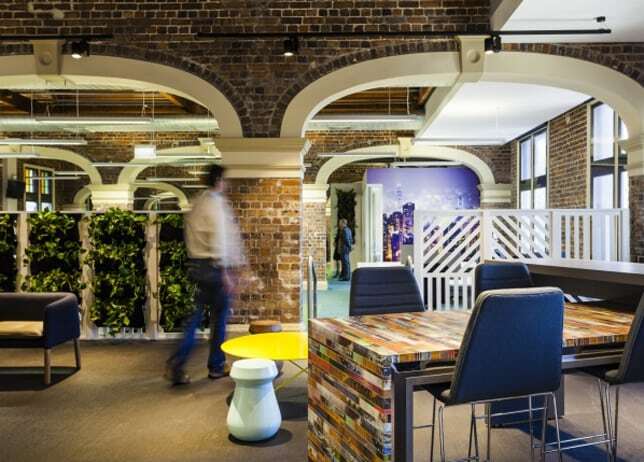 From a pokey garage office in Brisbane to two stories of gorgeous heritage-listed building in Sydney, Wotif Group have made some serious office upgrades over the years. Their latest home, which they’ve occupied since 2013, is an exposed brick dream decorated with all of the modern touches you’d expect from a large tech business. The office offers plenty of areas for staff to move around and find the vibe that suits their mood. As reported by Office Snapshots, the space is designed to strengthen the company’s social culture, foster collaboration, and promote healthy ways of working. This is reflected in the social areas and catered kitchen. While Seek might be where you’d start your hunt for a career change (after The Martec, of course), have you ever wondered what it’d be like to work within the company itself?. From what we’ve been able to see, it looks pretty awesome. This homegrown global power – now operating in 19 countries – has quite the setup in their Melbourne HQ. The design is sleek, shiny and industrial-looking, with plenty of room to move and places to get into the zone. Employees are treated to free breakfast, there is the obligatory ping pong table, and for those who spent their most productive years on the playground, they even have an in-office slide! 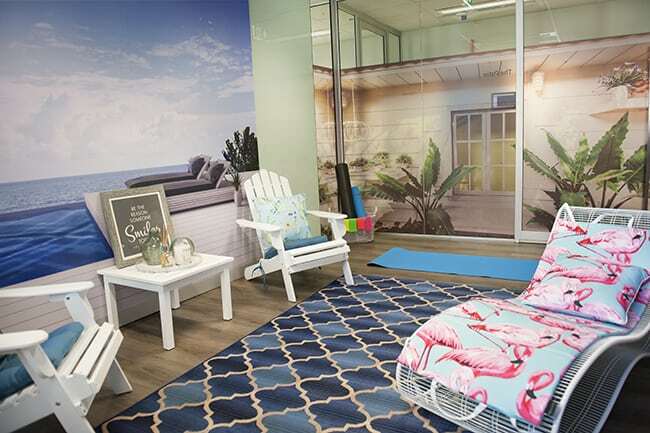 It shouldn’t come as a surprise that the Swisse offices are setup to encourage wellbeing. 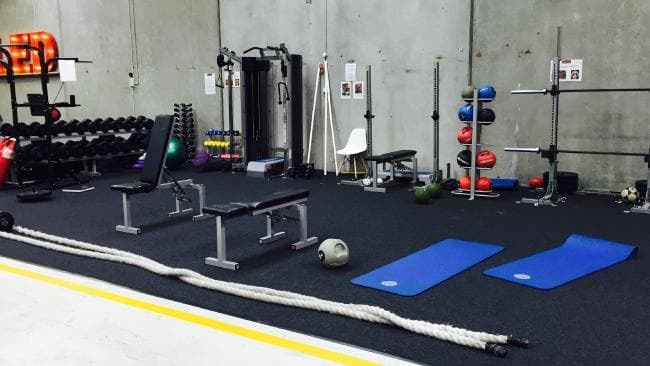 The health brand’s HQ keeps employees physically fit with a fully equipped gym, as well as three group PT sessions and a yoga class each week. For mental wellbeing, they have two daily meditation sessions. “We have about 60 people meditating together daily,” CEO Radek Sali told news.com.au. “It’s not compulsory – some people go to the gym instead.” To keep diet under control while in the office, staff are treated to a fully stocked fridge with loads of healthy snacks. We have high office expectations for companies from Silicon Valley. Thankfully Slack’s Aussie hub doesn’t disappoint. Stepping into their building feels like walking into a rainforest. The office is decked out with an incredible amount of indoor plants, and the green theme is continued throughout. Slack offer up plenty of treats, too – there is a snack stand with lollies, an espresso machine, and baked goodies supplied for brekky in the mornings. The space comes with plenty of meeting rooms, and a chill lounge for when the sugar rush turns into a sugar crash. The theme at TripAdvisor Aussie HQ is radical openness, and is perfect for budding gymnasts. Meeting rooms lack doors and ceilings, so all conversations are able to be heard by anyone. One of the more curious concepts is the standing meeting rooms, which might’ve been designed to keep staff awake when connecting with their international colleagues. A place where you will find chairs is the break room, which also boasts a gorgeous view of the Sydney skyline. Favouring flexibility, the TripAdvisor office has a combination of hot desks and permanent seating to suit individuals’ preferences or needs. In their downtime staff can take their pick of pool or ping pong to blow off steam. Another company with health at their core is Medibank Private, who offer up some seriously healthy perks to their employees. 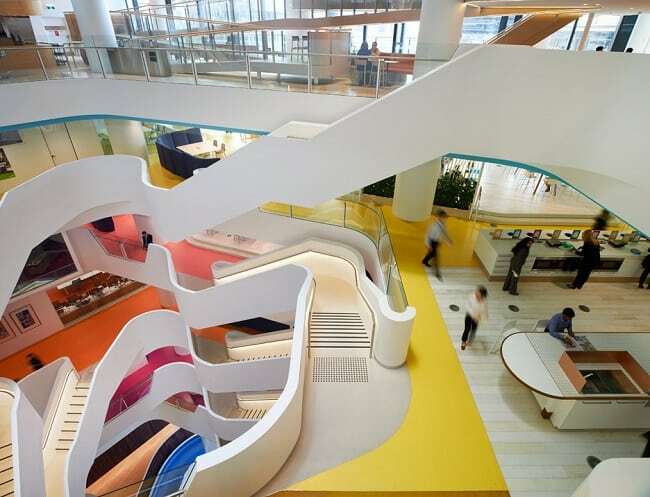 On Office reports that the goal for design firm Hassell was to embody Medibank Private’s definition of health as being physical, mental and social. As a result the office is equipped with sports courts where staff can play basketball, soccer or tennis, offers cooking classes and access to a fresh herb garden, and features an outdoor terrace for that life-giving vitamin D. And when staff need a break or somewhere calm to focus, quiet areas abound. 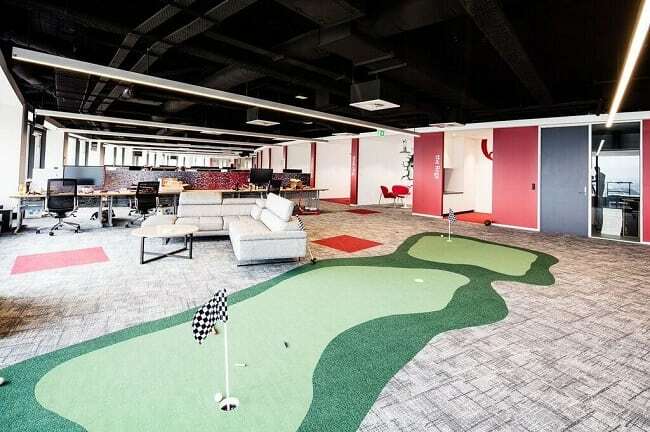 Interactive may have one of the most pimped out offices in Australia. They rival Seek in the slide department (who knew there were so many slides in corporate Australia? 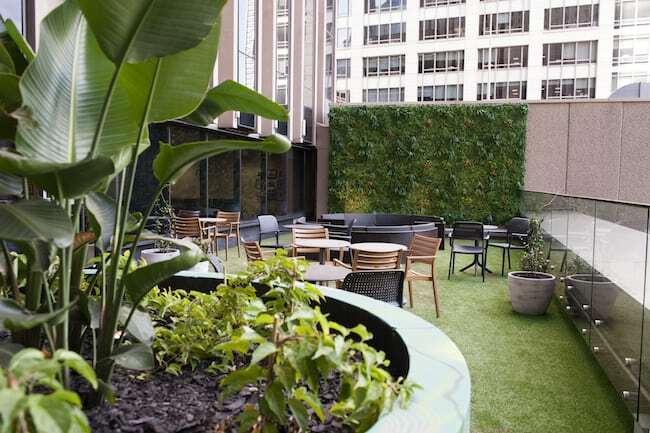 ), plus they have an outdoor terrace with that all-important fully stocked bar. And the list of cool perks doesn’t stop there, folks. Interactive also has a games room and a 100-seat theatre right there on site. A bit peckish after an epic PlayStation sesh or an evening screening of Titanic? Don’t fret – employees can take advantage of a fully stocked snack stand and their own in-house barista. In 2016 there was much hype about Sydney’s coolest new offices in Barangaroo. One tenant to secure space in this gorgeous new location was Westpac. In fact, they take up most of it. 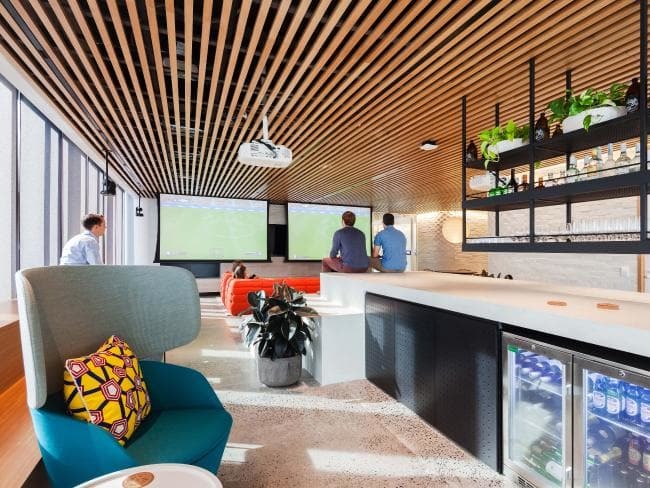 Westpac’s Integration Program Director told Commercial Real Estate that “the design philosophy is about the equitable sharing of the best views and natural light” There is seating scattered by all the windows, allowing staff to take in views from their temporary workspace. 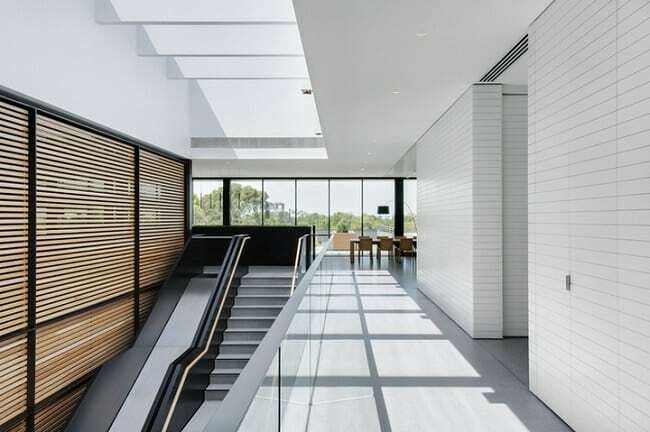 The residents are also have access to cafés, a wellness centre, an outdoor terrace, a library, a medical centre, a prayer room and a 200-seat auditorium. 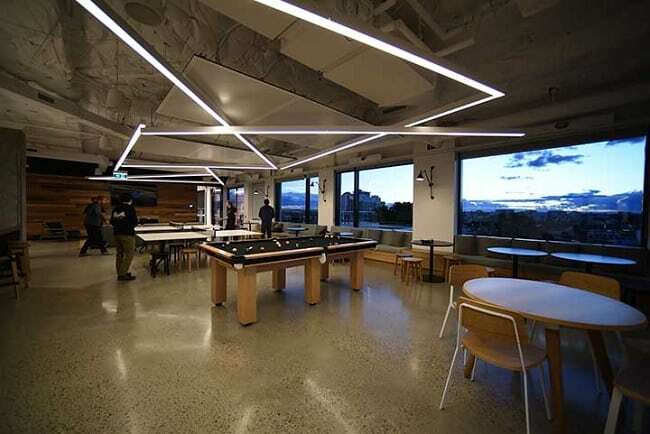 As Catch Group itself says, their office is styled as “a slice of Silicon Valley Down Under.” Their office comes complete with a basketball court, ping pong table, pool table, foosball table and a gym. Not into physical games? No sweat! You can opt for Nintendo, Xbox or PlayStation. 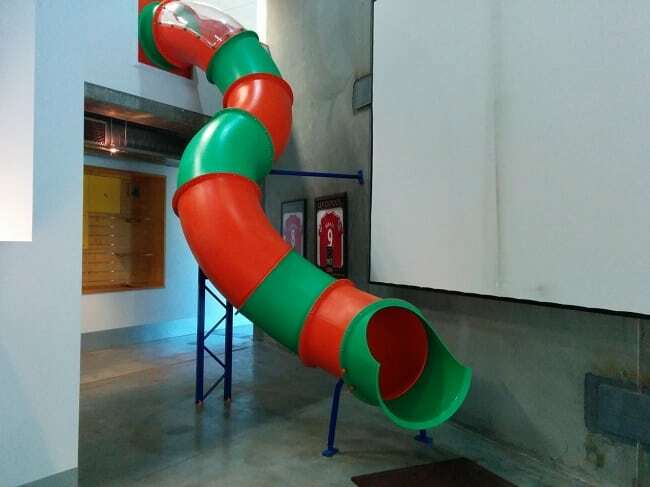 We hate to come across as playground freaks, but the big drawcard giving this office uber cool points is once again the addition of a slide, because how good are slides? Unlike the other slides mentioned, however, the Catch Group slide is what you’d expect to see in a kids playground, just bigger and for adults. It goes all the way from the top level to the foyer. Who needs to go up in the corporate world when going down is so fun, right? 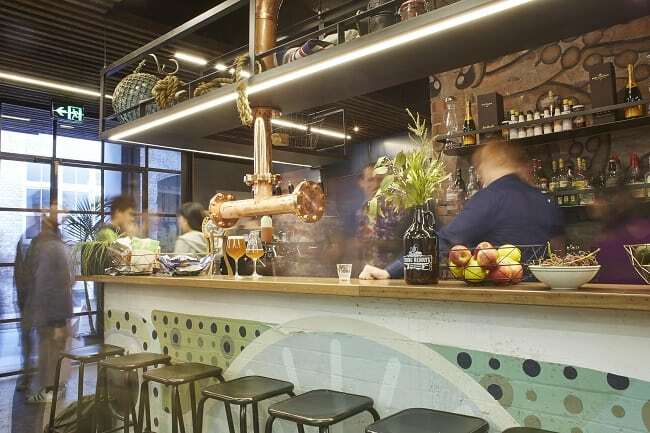 Does your current workplace meet the standards of the coolest offices in Australia? If it’s time to upgrade, why not browse the latest job listings of Australia’s hottest tech companies?